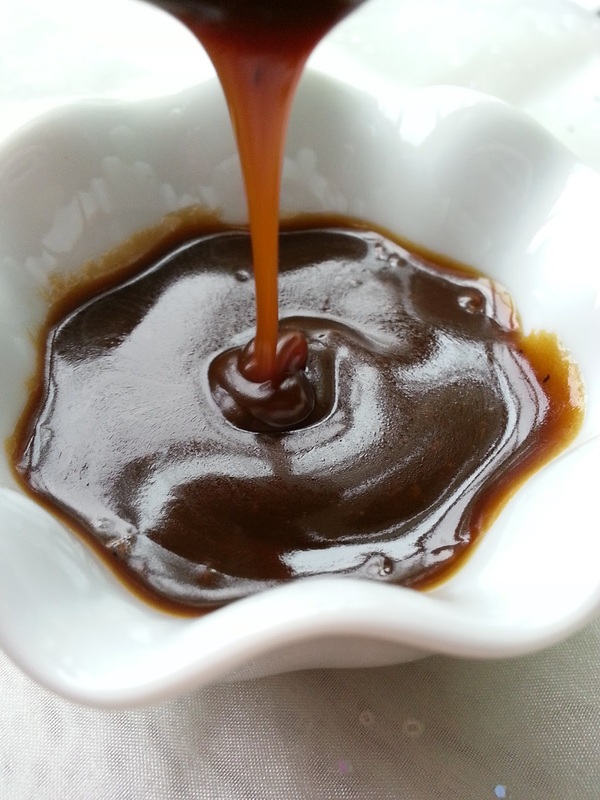 A quick, simple and better-for-you homemade caramel sauce is tough to beat for making a dessert a little extra special. OK, so it’s not health food, but if you’re craving a sweet treat that won’t undo all of your crunches and squats, this is a great way to spruce up your 1/2 cup of frozen yogurt. How is it better for you? Well, first I used Coconut sugar, which is low on the glycemic index, so it’s a good substitute for the granulated white or brown sugar that is traditionally used in caramel recipes. Because coconut sugar has a rich caramel taste to it naturally, it’s a perfect stand in for just about any caramel recipe. Not a fan of coconut? Not to worry, this sugar does not impart even a vaguely coconut flavor. I also cut down a bit on the fat content by using half and half instead of heavy cream. You won’t know the difference (and this little change allowed me to keep the real, glorious, hard-to-find-a-good-substitue-for butter in the recipe :)). Be sure to use a wooden spoon for stirring! 6. Serve immediately over cake, ice cream, etc.